Is Your Fishing Gear Ready for Spring? – Part 2! Is Your Fishing Gear Ready for Spring? After a particularly cold and snowy winter, isn’t the onset of bright, warm, sunny days such a relief? Finally, we can put away the long johns, extra-thick scarves, and hand warmers, and start looking ahead to time on the lake. While we still have a few weeks until the opener, it’s never too early to ensure you have all your equipment and tackle in order. As you dig all your rods and tackle boxes out of storage, you might find that some of your gear is about due for an upgrade. We’ve done a little research to help narrow down your choices to the best in each category! This month, we’ll highlight different types of gear and equipment that are receiving great reviews from around the web. While walleyes usually don’t take much effort to reel in once you have them hooked, they also have an extremely soft bite, meaning the real challenge is usually detecting that a walleye is nibbling your bait in the first place. 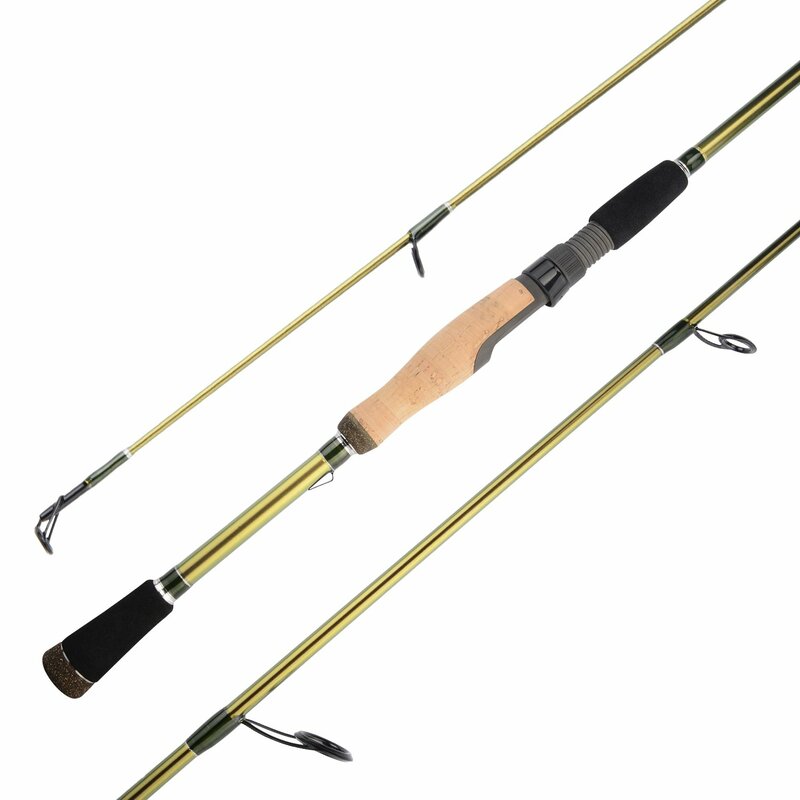 As such, a good walleye fishing rod is crafted from a lightweight enough material for optimal sensitivity while still offering enough power and durability to quickly and effectively set your hook. With that in mind, we found that the KastKing WideEye Walleye Fishing Rod offered the best combination of functionality and value. With weights as low as 3.4 ounces, but with the strength and durability of their carbon-fiber construction, these rods will respond to even the gentlest nibble from a curious walleye. Of course, getting a fish on your line is only one part of the process — you need to get that prized catch actually in the boat! Few things are more frustrating to have a prize-worthy walleye on your line, only to fumble with your fishing net at the last second as your catch wriggles its way free. Point being, don’t neglect how useful a high-quality fishing net can be! It might make the difference between bringing home a trophy catch or a story about “the one that got away.” One such high-quality net is the Frabill Conservation Series Landing Net. 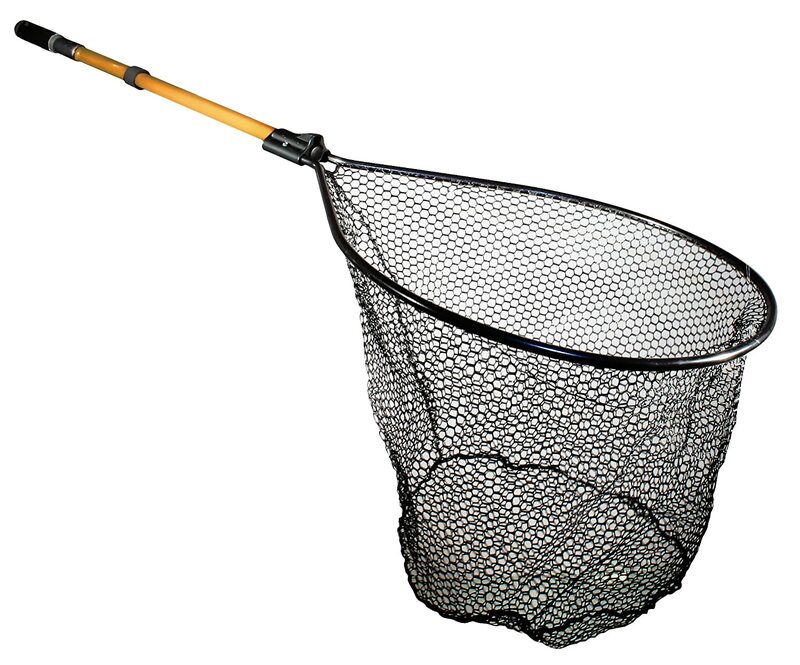 With a super-strong CAM-LOK reinforced handle and a deep, flat bottom base, this net makes snatching walleye a breeze. We hope you enjoyed our recommendations! What are YOUR must-have pieces of gear for 2019? After a particularly cold and snowy winter, isn’t the onset of bright, warm, sunny days such a relief? Finally, we can put away the long johns, extra-think scarves, and handwarmers, and start looking ahead to time on the lake. While we still have a few weeks until the opener, it’s never too early to ensure you have all your equipment and tackle in order. As you dig all your rods and tackle boxes out of storage, you might find that some of your gear is about due for an upgrade. We’ve done a little research to help narrow down your choices to the best in each category! Over the next few weeks, we’ll highlight different types of gear and equipment that are receiving great reviews from around the web. 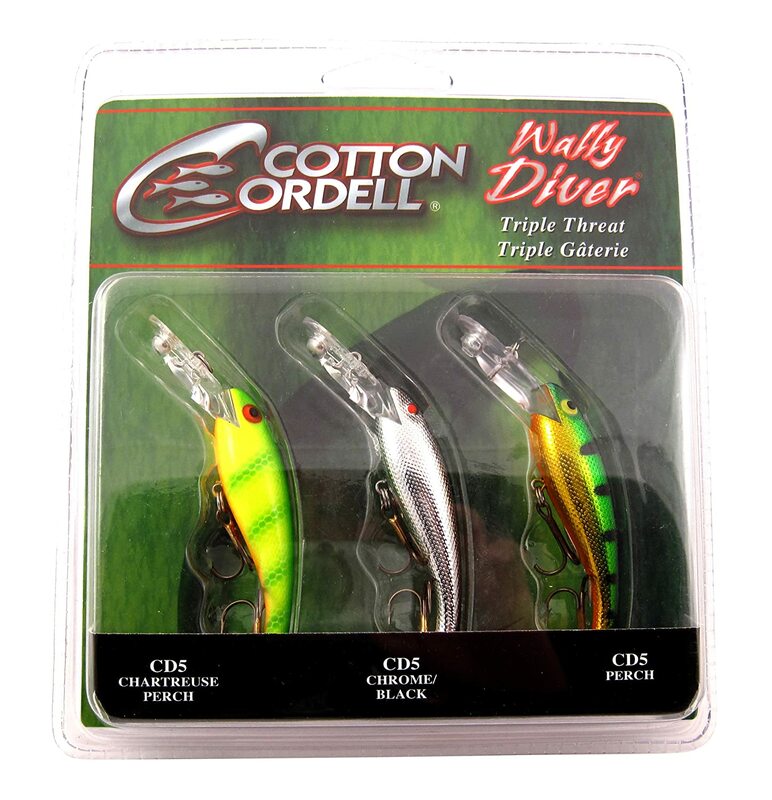 Fishing experts agree that the “Triple Threat” 3-pack is a must-have for walleye fishing. The distinct coloring of each lure provides you with a perfect lure for any season, and for the summer months, they can be trolled for when the walleye need a little extra encouragement. Although we particularly recommend the “Triple Threat” for walleye fishing, the reviews on these lures suggest that they’re a great all-around choice. We don’t have to remind you that there are some very high-tech fish finders out there, with price tags to match. For the average sportsman, a $1,000+ fish finder might be just a little too much, regardless of how many features and gadgets it includes. So while it might be true that the absolute best fish finders are those high-end models, we instead looked around for the best balance of price and functionality. And from that perspective, the Garmin Striker 4 took the cake. 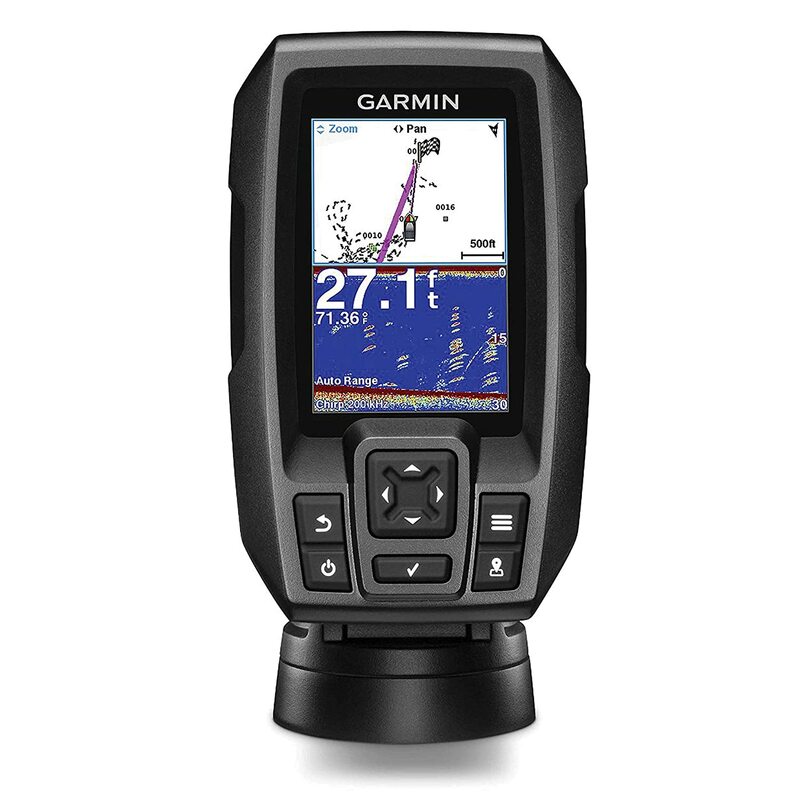 As you can see in the graphic above, it does a great job of combining navigation assistance with fish-finding, making it easy to ensure you’re staying on course while not missing out on any good spots. Do note that you’ll need a separate power supply for the Striker 4 — by scrolling down to the “Frequently Bought Together” section on the Amazon page, you can easily find the proper battery for the unit. There are hundreds, if not thousands, of ways for you to carry your gear from one place to another — obviously, some are better than others. The reason we like the Duluth Pack All Day Lumbar Pack is that it’s so versatile — with all sorts of zippered compartments, adjustable / removeable straps, and waterproof lining, it’s sure to come in handy on both your fishing trips and your hunting trips. And, of course, all Duluth Pack products feature their lifetime guarantee, so it could very well be the last bag you ever buy! Purchase it on Duluth Pack! We hope you liked our recommendations for this week! Check back later this month for more ideas about the best fishing gear & accessories for 2019.